After beginning his career as a defender with Epinal, where he played over 100 games in three years with the club, Friio joined Nimes in the French Second Division. He played 50 games there before a move to Valence, where he teamed up with Romain Larrieu. 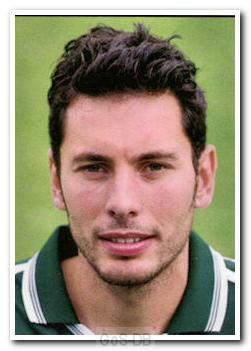 The club suffered relegation in his first season there and Friio was one of a number of players released. He was offered a trial at Argyle by Paul Sturrock in November 2000 and signed a contract until the end of the season, moving into a midfield role and making his debut in a win over Exeter City. A two-year contract extension followed and Friio starred in the Division Three title-winning team, scoring 11 goals and being named in the Division Three team of the year. 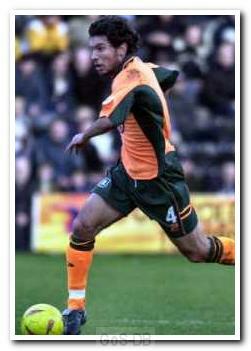 After another excellent season in 2002-03 his contract was extended again and the midfielder led the club's goalscorers when Sturrock's side won the Second Division title the following season. He was again named in the Division's team of the year. Falling out of favour when Bobby Williamson took over, and with his contract due to expire, Friio was sold to Nottingham Forest for £100,000. His time at the City Ground was hampered by injuries and he was forced to retire after 18 months and just 22 appearances for the club. Following retirement Friio became a scout, at first working for Forest and then Manchester United.